Product information "Boost Conversion Kit Fun Works N-Light One/4Way DLX Rear Hub 12x148mm"
Do you have a new bike frame with Boost standard and you want to use your existing wheel with 12x142mm hub? 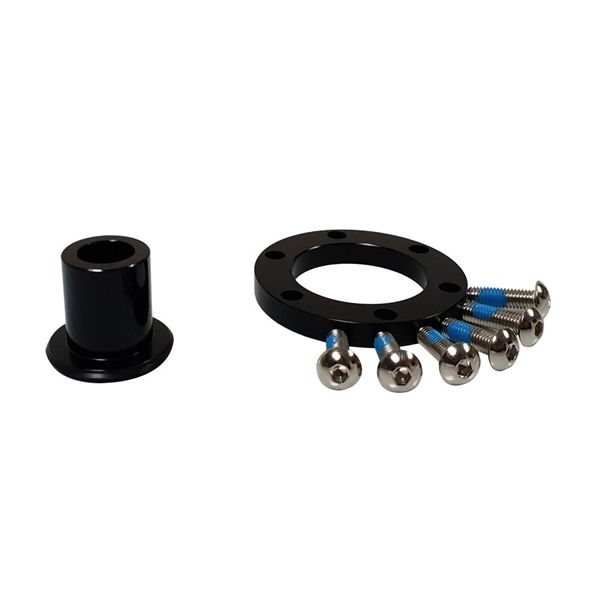 Conversion Kit to convert your existing 12x142mm rear hub to the new Boost 12x148mm standard. Adaptor end cap for the disc side including disc rotor spacer/adaptor with six long bolts. and assemble the disc rotor spacer/adaptor under your disc rotor with the six long bolts. Your wheel will require a slight re-dish to put it in plane with your frame. The maximum Rotor size brake at the rear wheel is 183 mm! Related links to "Boost Conversion Kit Fun Works N-Light One/4Way DLX Rear Hub 12x148mm"
Customer evaluation for "Boost Conversion Kit Fun Works N-Light One/4Way DLX Rear Hub 12x148mm"